Have you ever phoned a flower shop wanting to order a special bouquet but you don’t know the first thing about flowers? 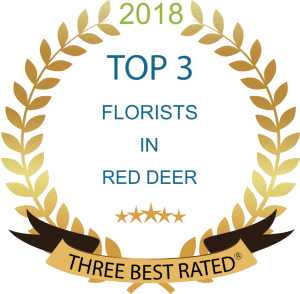 It can be a stressful experience for you and also for your florist. 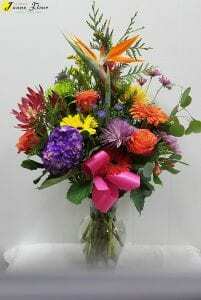 Flower packages, Flower bouquet or Flower Arrangement. These have different meanings to a florist and it can get confusing to you both. If you are asking for fresh cut flowers, it generally means a package which contains loose flowers that are wrapped loosely in cello and are not in a vase. A bouquet can be something like a European hand tied bouquet where the flowers have actually been arranged and put into a wrap. They are also sold without a vase. A flower arrangement or floral design are flowers that have been arranged in some kind of container. It could be a vase, pot or specialty container. 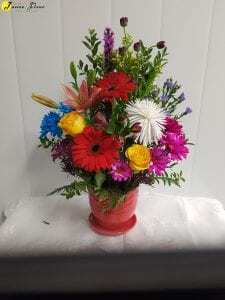 If a florist is using oasis to hold the flowers in place, it is generally referred to as a floral design because we can arrange them in different ways, short or tall and they have more structure. A bouquet also refers to a wedding bouquet. When you are ordering flowers it helps to give us enough information so that we can create the look you want. Floral galleries are a great way to help you order. Our website www.jaunefleurflowers.com offers a floral gallery, for you to look at. The photos in the selection guide are there to help you communicate an idea, a style, a color scheme, a look, a theme – all of these things. So that when the order is filled by the designer you get something that resembles what you’re trying to send. It’s not going to be a photographic copy of the same arrangement you saw as no one flower shop in the world is going to have every flower there is available in the shop, at all times, on one specific day. We will come as close as we can or offer alternatives for you if we are sold out of the container or the type of flowers are out of season. Let us know the occasion or how it will be used. Is it a birthday or is it going on your table as a centerpiece. Will it be one sided or seen all the way around. These are the things that help us determine not only how the arrangement is made, but also affects the budget. For instance, an arrangement that is viewed from all sides has to have flowers on all sides. So therefore it’s going to cost more than a similar sized arrangement that is one-sided where all the flowers are to the front and you’re not really placing anything other than foliage to the back. PreviousPrevious post:What is a reasonable price?NextNext post:Please Give Wedding Vendors a Break!